Roys People Art Fair. Join me this week for London's largest Artist led Fair. 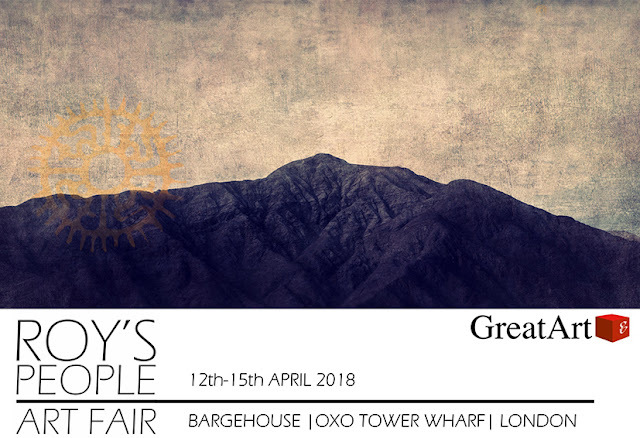 The 2nd install of @royspeopleartfair will be held at Bargehouse, OXO Tower Wharf 12th-15th April 2018 Visitors have a unique experience to buy artwork direct from the artists in a relaxed ‘non gallery’ atmosphere. As well as seeing work by emerging and established artists, visitors can also experience live painting, creative workshops and interactive installations.